If you haven't checked out SlopPress.com you are missing a ton of good stuff. The feature on American Thanksgiving is funny as hell and super informative. There are a lot more writers associated with the blog and we are certain we will get it on the top food blog list (if there is one). 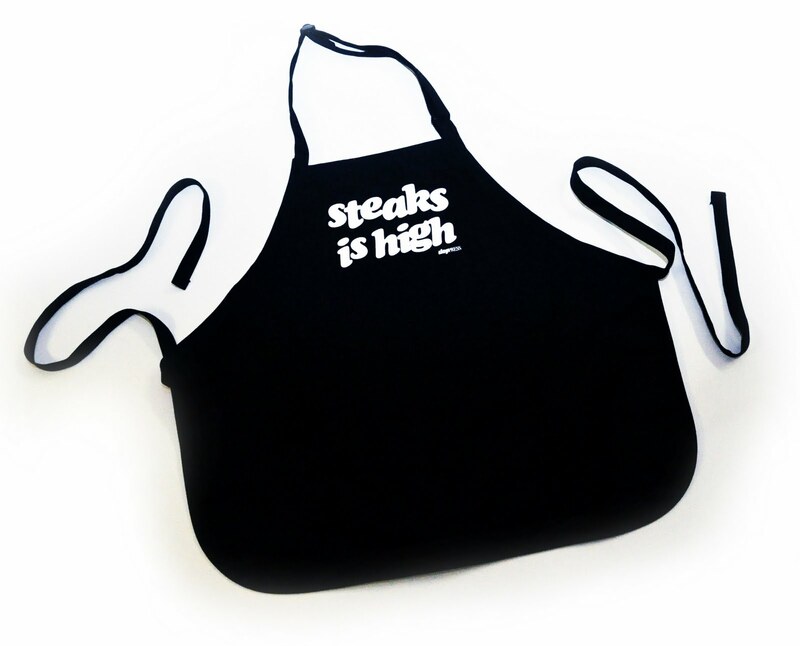 To celebrate the launch of the website we created Slop Press Aprons. I have sold a bunch to friends and they are love with them. For those of you in Vancouver you might have seen it on Urban Rush and now is your chance to get yours or get one for your loved one for a Christmas present. If you can't make it to those sites, you can email me at Vancouverslop@gmail.com and we can ship one out to you for 30 dollars plus shipping. And if you didn't understand where Stakes Is High is from please take a look at this.